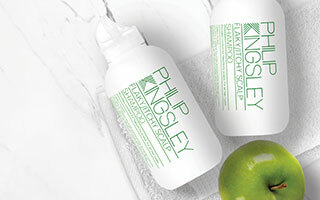 The multi-award winning TRICHOTHERAPY® Regime has been created to help maintain optimum hair and scalp health from the inside out. Used in combination with a healthy diet and lifestyle, the 3-step holistic regime creates thicker, fuller hair and encourages healthy hair growth. 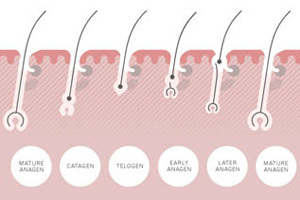 Trichotherapy is ideal for people with fine and/or thinning hair and those who are experiencing reduced volume and hair shedding for a multitude of reasons. Learn more about reasons for female hair loss here. The regime consists of 3 innovative products working collectively to provide long term benefits to the hair and scalp and deliver visible root lift, instant conditioning, shine and overall fullness to the hair. TRICHO PRO Volumizing Protein Spray is a hair density formula that helps to reduce hair fall caused by breakage when combing and improve overall hair condition.Rich in primary anti-oxidants such as the Green Tea Extract, TRICHO PRO helps to moisturize and improve shine, fullness, cuticle integrity and strength. TRICHO 7 Volumizing Hair & Scalp Treatment are daily scalp drops that help to create the optimum scalp environment for healthy hair.The innovative formula contains a unique combination of 7 trichologically selected ingredients, each known to enhance the condition of the hair and scalp and encourage healthy hair and has taken 7 years to develop, test and perfect.TRICHO 7 is rich in anti-oxidants, has soothing effects, protects against environmental degradation and immediately gives the appearance of more volume.